Very few people have naturally perfect skin; its condition can change for many reasons. Whether it is due to the time of month or even the ever changing seasons. It can differ on a daily basis. I know it can be a real challenge for many getting your skin in great condition; I myself have had many problems with my own skin over the years. It is a concern I come across with many of my clients on a regular basis, especially brides to be feeling the pressure of wanting to look and feel their best on the big day. Once you have identified what your own skin needs. You can adapt or change your skincare routine to target any problem areas. There are many different skincare brands on the market, all with varying price points to suit different budgets. Remember you don’t have to go for the most expensive range on the market. 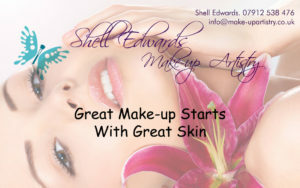 Just make sure what you choose is within your own budget but also works for your type of skin. Remember when you make changes to your routine it can take 4-6 weeks for you to see the difference. It is also not uncommon for you to have a breakout at first but this will calm down given time so be patient and stick with it. 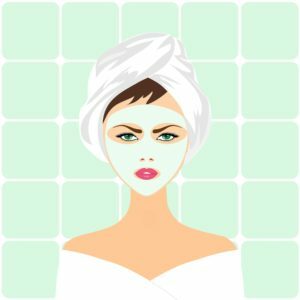 Do you need help perfecting your skin care routine? This entry was posted in Make-up, Skin Care and tagged Beauty treatments, Make-up, Make-up tips, Skincare, Skincare tips, Wedding make-up, Wedding preparations. Bookmark the permalink.